There’s a contention among certain writers that leaving characters by themselves is detrimental to a story. Writer-director Steven Knight’s latest subverts that alleged rule beautifully. Less a character study and more a multivalent character revelation, Locke is a tremendous, inspiring narrative feat. Tom Hardy plays Ivan Locke, a construction supervisor who gets into his BMW late one night in Birmingham and heads for London. Knight takes us on that drive with Locke in close to real time, racing through the night and the chaos this man is attempting to balance. His (and our own) only company are the voices of his boss, coworker, wife, lover, and sons as he fields calls through his car’s phone system. The masterful aspect of this film, and of Knight’s writing, is how strongly it maintains the central tension while slowly revealing a complete portrait of its focal character. This film is as much a thriller as it is a drama. 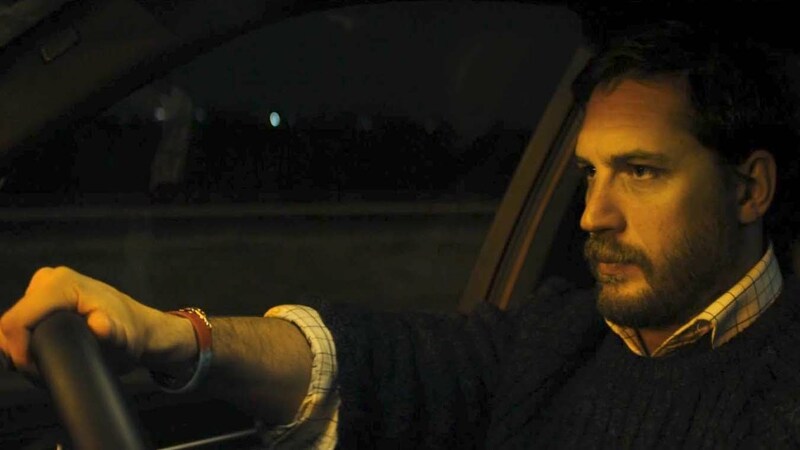 Hardy is nothing shy of masterful himself, delivering perhaps the most compelling and committed performance of his career. Amid the highway lights and nightly darkness, Hardy shines. 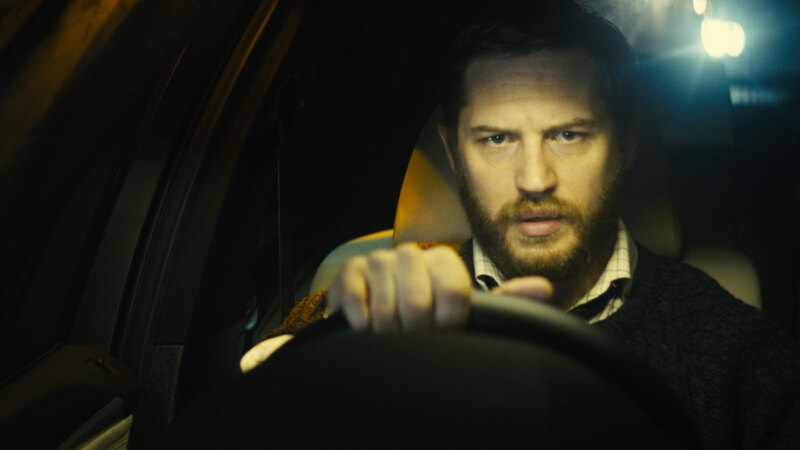 Through the power of his acting, Hardy creates a man we can at once understand, sympathize with, and despise. While its visual palette is essentially uniform, the film’s aural canvas is a mix of one man’s thoughts and demons, his choices and their consequences. As the two-hour drive progresses, Locke juggles his imploding professional and personal realities, and becomes a thundering testimonial to the power of a dynamic character arc. In a clipped accent, Hardy’s Locke orchestrates the preparation for a large-scale concrete pour, confesses a troubling truth to his wife, and confronts the mental specter of his long-deceased father. His car phone system’s automated female voice chimes “you have a call waiting” enough times that the phrase becomes a refrain, keeping the film’s kinetic, frenetic pacing alive and charged. Ivan Locke is a man accustomed to control, and through him, the film is itself exceptionally controlled without losing its edge. You will remember this film because in its unflinching gaze it shows what a true life-changing experience is. Locke entrances with its grasp of reality. If ever there was needed a cinematic realization of the adage “the journey is more important than the destination,” this film is precisely that. As the other people in this man’s life learn who he really is, so does the audience. 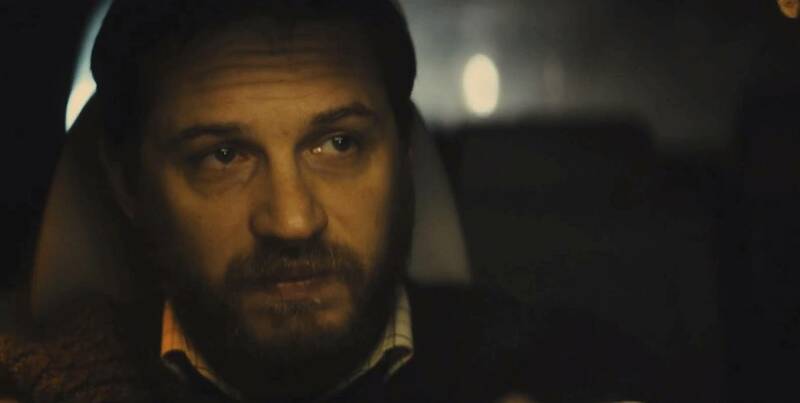 Here, character development is as real time as the late night drive itself, and Hardy’s emotional dexterity infuses Locke, a man at times shockingly and appallingly cold, with a soul. Dickon Hinchliffe’s tense, organic score melds very well with Haris Zambarloukos’ gorgeous cinematography, which finds seemingly impossible variation in the superficially limited setting. Zambarloukos’ effective blending of blurred, layered frames, light and shadow, these visual choices underline the intimacy of the story and the contained environment in which it unfolds. The audience is not only sitting alongside Locke but is also in his head. The pervasive isolation perhaps sounds like cheap gimmickry, but it wonderfully manifests on the silver screen. Like the best free indirect prose, this film keeps its narrative as closely tied to the protagonist’s thoughts as possible. Knight’s innovative cinematic trick requires an immensely talented actor. Thankfully, the star is that and more. Locke revels in nuance. Knight’s script is filled with sharp, searing wit, and Locke’s occasional breaks from odd, cold placidity are shocking. The supporting cast members, though they only provide vocal performances, all offer formidable commitment. While these actors never rise to Hardy’s level of intensity, they admirably support his star turn. The ghostly presence of these important figures in Locke’s life fills his car as though it were an echo chamber: a place in which one version of his life ends, and another begins. Narrative provides the space for change that our choices inevitably beget. Effective filmmaking builds upon the idea of that narrative space by finding ways to play with it, transform, and reconstruct it. Steven Knight and Tom Hardy have accomplished incredible storytelling that depicts the complicated truth of life in a compellingly dense, tightly assembled work of art. Fiercely written, directed, and acted, Locke is a triumph.